When you see a jazz musician on the stage, you connect with their playing. Sometimes, you wonder what crosses their mind to do that particular and subtle thing which touches you and makes a difference. You wonder about the person behind the instrument. This book gives you that portrait. 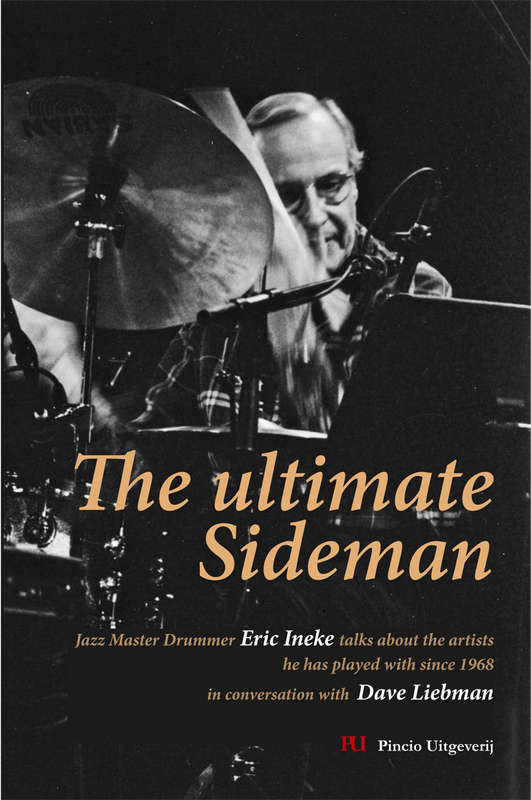 The Ultimate Sideman talks about life, which for Eric Ineke means jazz. For him, there is no life without jazz. He has been keeping a beat with the best jazz musicians around the world for more than fifty years. A lot of nights as a sideman with the genre's biggest names have made of him one of the most accomplished drummers in Europe. 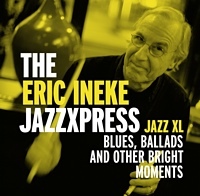 Ineke's story gives you the holistic sense of each musician he mentions: a playing analysis and a personality profile. This Dutch drummer can't separate these two notions, because he deeply believes that the musician shapes the music, and vice versa. You can feel this in every short, chronological description he offers of nearly a hundred musicians and singers. The appeal of his descriptions, beyond their historical value and the absorbing anecdotes about a musician's nature, lies in the conversations Ineke holds with his lifelong friend, saxophonist Dave Liebman. Thanks to this animated and enchanting formula, the book has an unbreakable rhythm and catchy swing, fed by two old cats known for their powerful pedagogic capacity. This book shows up in successive images from Ineke's filter. His memory is limpid and his explanations are accurate. The perspective is all opinion, coming from his personal experience. Everything is told with an honest, respectful tone, which gives the content value and authenticity. Ineke expresses himself with pure admiration for every musician he mentions. Eternally youthful, he is filled with excitement while remembering all these collected moments. He doesn't hide his childish elation as he describes musical experiences and life lessons, and offers a true balance between the virtues and defects of the great jazzmen he has shared the stage—and backstage-with. One has the feeling while reading that a strong, invisible line links past with present, explaining how Ineke arrived at this point in his life and projecting how bright his future will be. What makes this drummer special is his bright, living eagerness to give the best of himself in every beat, every accompaniment. There couldn't be a better name for this book. Liebman defines an ultimate sideman" perfectly in the introduction: Playing is one thing, but putting a tour together and making a visitor feel physically, mentally and emotionally comfortable as well as musically is a bit of an order...personality and the music ARE the same. 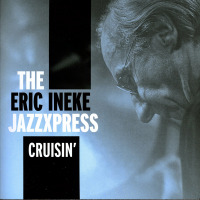 Eric Ineke fills the bill perfectly. He was and is The ULTIMATE SIDEMAN... Eric swings hard! In music and life." Many remarkable facets make this book indispensable for jazz lovers and musicians. It is full of intimate moments with great jazz stars as Hank Mobley, Dizzy Gillespie, Johnny Griffin, Barry Harris, Freddie Hubbard, George Coleman and many others. Each subject is embraced with a positive attitude, the good ones, and the not so good. 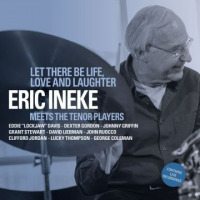 This is the way Eric Ineke faces life, always aware of making the best of every experience and always predisposed to learning something new.That is, for sure, his secret to keeping the jazz flame alive! This combination of personal reflection and the appealing dialogue with Liebman offers musical notes with personal and curious anecdotes of virtues (ie: he was a real taskmaster and I really learned how to play the bass drum and to stretch my limits," about Johnny Griffin), obsessions ("when the gig ended at 4pm, Frank went right back practicing in the kitchen," about Frank Foster) and vices (figure out what Freddie Hubbard's was). Above the music, the humanity of everyone named rises up to let us understand the magic on stage. The book also lists an appealing discography with hundreds of credits in an appendix. The importance of Ineke's and Liebman's story—besides the theoretical analysis about rhythm, sound and styles-is the life time of impressions born on the stage, being in the moment. Because that's jazz: being in the moment. Ineke grew up surrounded by great musicians, working hard and playing with sincerity while trying to inspire his colleagues. He did, and he does. He possesses a special understanding of music and of people that gives him the versatility he is known for. The Ultimate Sideman is written as a generous way to share his experience and the idea that life, in the end, is the best teacher. Ineke carefully kept every comment he got from each musician he played with, the good ones as reinforcement, and the awful ones as encouragement to keep improving and developing his language and sound. This book arrives as a celebration of his professional achievements, and a celebration of the dreams come true like playing with Dizzy Gillespie. There is even a kind of melancholy about the past. That time didn't pass by the child in Ineke's hard-bopper soul, who gives each section the hunch of a new adventure, a lingering taste of certainty that the best is yet to come.